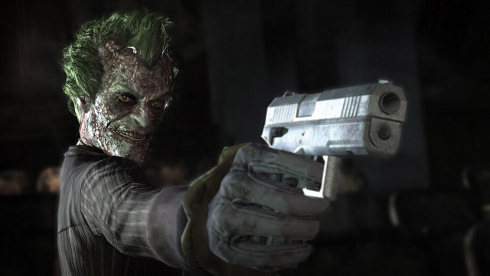 Today Batman: Arkham City was released through stores in North America. 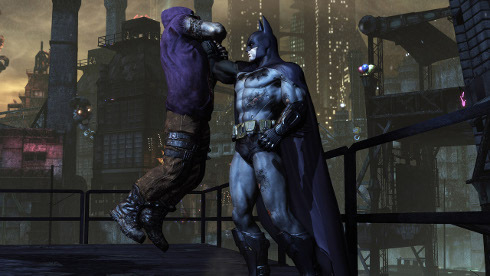 The follow-up to Batman: Arkham Asylum is now available for the PS3 and Xbox 360. The PC version is expected on November 18th. In Arkham City, Gotham's criminal masterminds and their minions have been relocated to a walled-off section of the city. As long as these criminals don't try to escape, they're free to do whatever they want. Needless to say, it's not the most pleasant place to be. The game world of Arkham City is five times larger than that of Asylum. Developer Rocksteady Studios has filled up that extra space with new side quests and a whole lot more villains. Enemies like Mr. Freeze, The Penguin, and Two-Face join returning criminals like The Joker and Harley Quinn. "Getting to work in the Batman universe again has been a privilege for us at Rocksteady Studios. 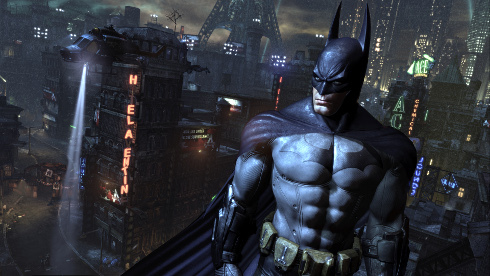 We have worked tirelessly to take Batman from the Asylum into the heart of Gotham City and to deliver the game The Dark Knight deserves,” said Sefton Hill, Game Director at Rocksteady Studios. “The response so far has been phenomenal and we can't wait for everyone to experience becoming The Batman swooping through the streets of Gotham." 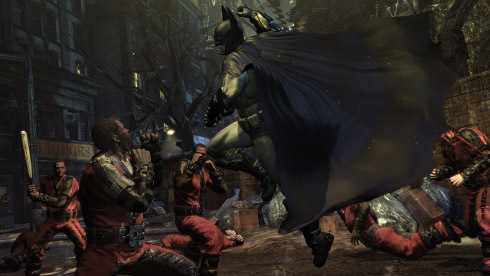 The PS3 and 360 versions of Arkham currently have Metacritic ratings of 97 and 95, respectively. The lowest score listed so far is an 85. I imagine a few bad reviews will pop up eventually but the point is, the game's getting a lot of praise. After you beat the game, you won't have to wait long for downloadable content. A Nightwing Bundle Pack will arrive on November 1st. The Robin Bundle Pack, previously a Best Buy pre-order exclusive, is due on November 22nd.